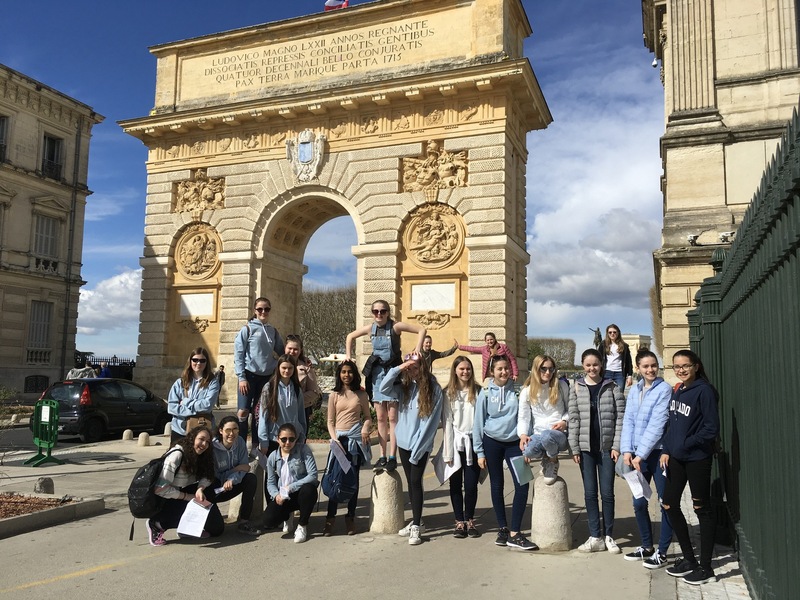 A four-day immersion course in the sunny south of France was enjoyed by 19 girls from Years 9 and 10 over Easter. 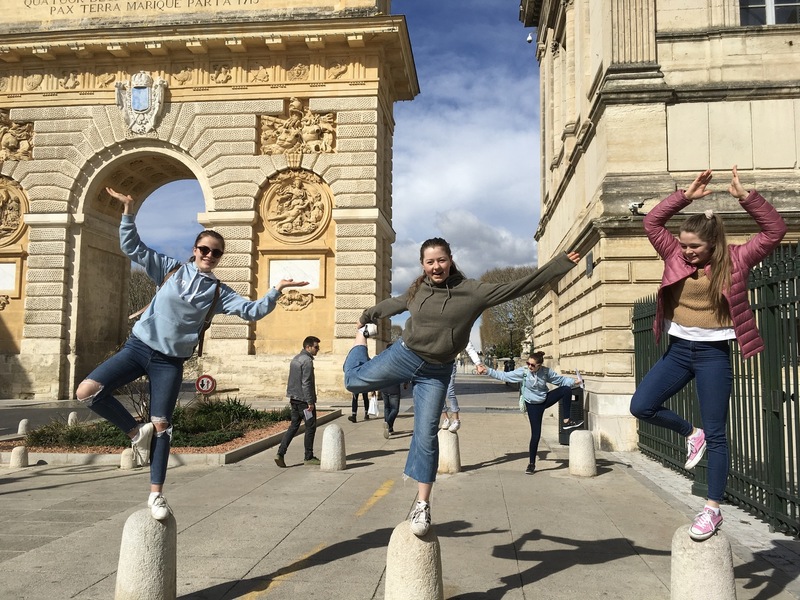 On the first day in Montpellier the girls had lessons in the language school. They were split into two levels according to their ability (year 9 and 10). 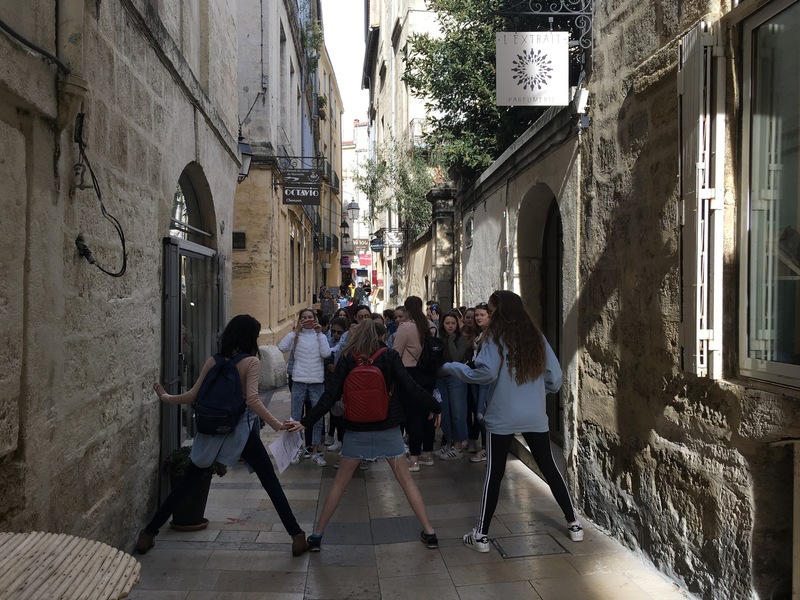 They also took part in a treasure hunt through the city centre and historical town. Day two involved a day trip to the Roman city of Nîmes. 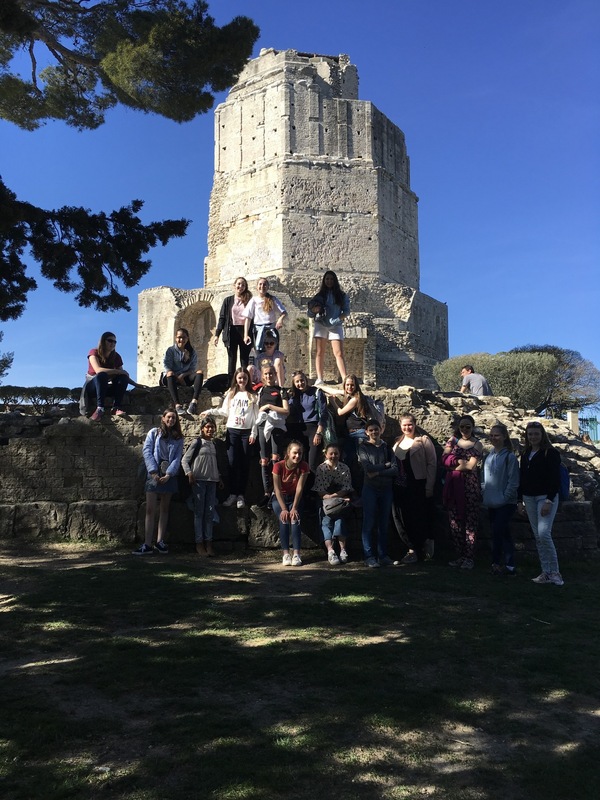 They visited the best preserved Roman temple in the whole of Europe and one of the best preserved Roman amphitheatres. Both buildings are still used. 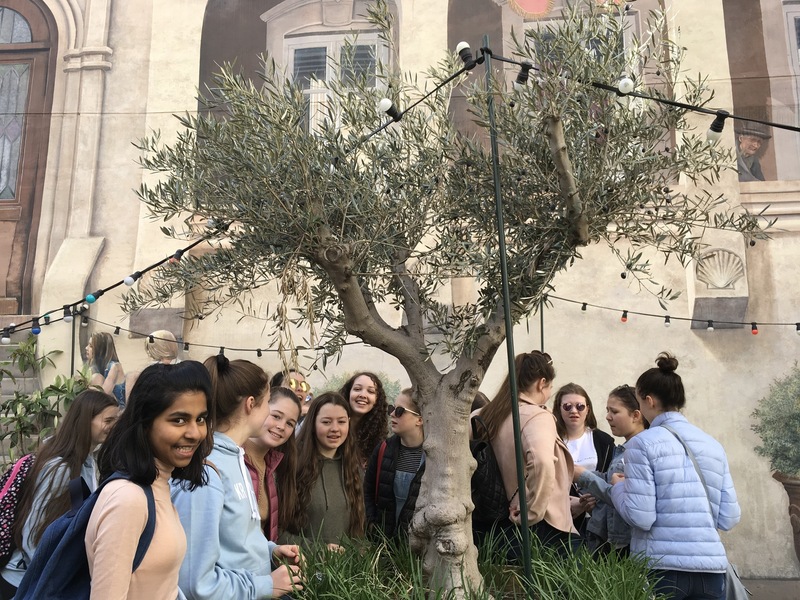 After lunch in the indoor market full of delicatessen stalls and trendy restaurants, the girls were given the opportunity to buy chocolate, cakes and ice cream in old fashioned pâtisseries in the old town. 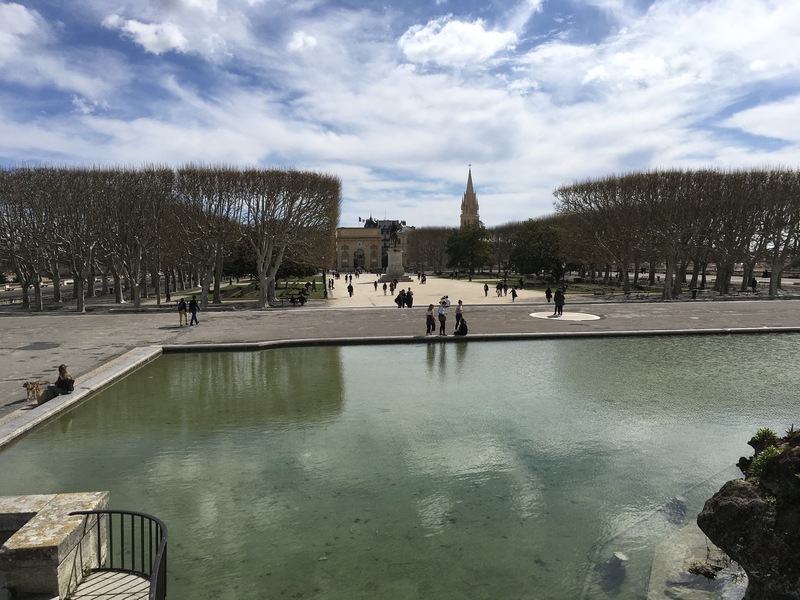 They then enjoyed walking in the classical French Gardens with its beautiful statues and fountains on their way to the Roman Tower. 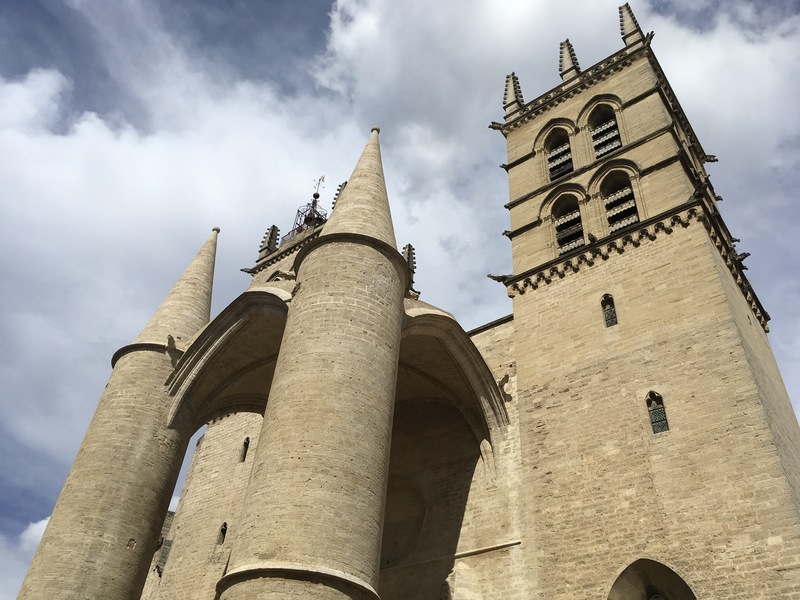 On Easter Monday the girls went on a day trip to Avignon and had a guided tour of the city, where they found out about the history of Provence and its popes. 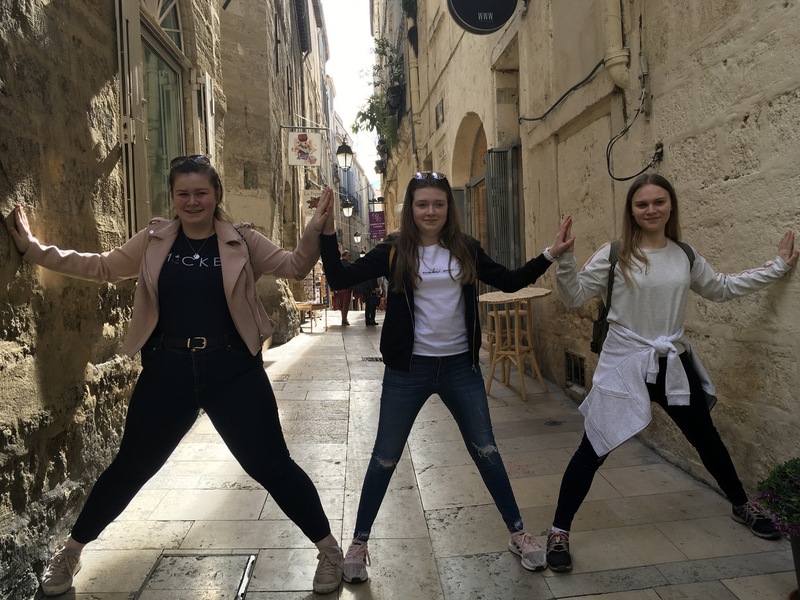 They visited a Renaissance painting museum where they saw a famous Botticelli painting and enjoyed a bit of shopping around the city. On the last morning the girls took part in a crêpe workshop and visited a chocolate patisserie where a master chocolate maker talked to them about the various types of chocolate and got them to taste chocolate and macarons. 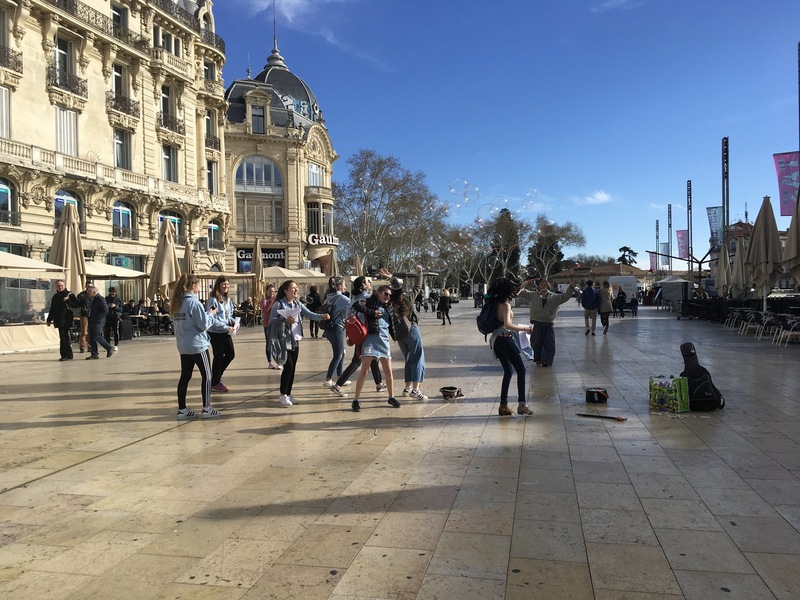 Aside from the educational and cultural aspects of the trip, the girls also developed confidence in travelling independently by tram to and from the language school each day. The host families were extremely welcoming and everyone had a marvellous time.